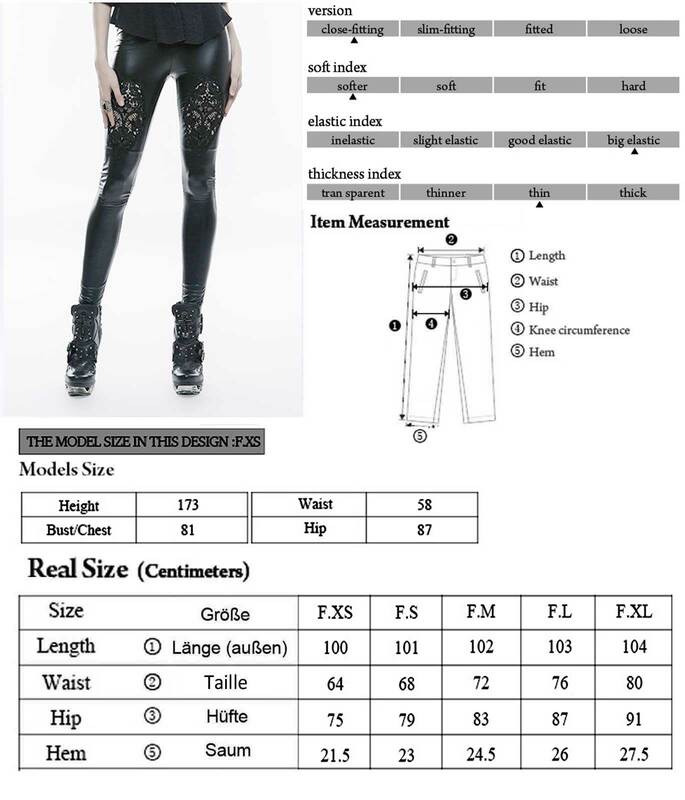 Matt shiny stretch leggings by Punk Rave. At the thighs with see-through lace contrasts and black studs. 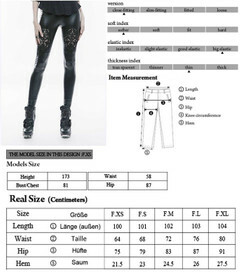 Matt shiny stretch leggings by Punk Rave. At the thighs with see-through lace contrasts and black studs. Elastic waistband with additional drawstring. The fabric is very elastic - but Punk Rave turns out smaller!